6 Fun Ways for Kids to Help with Spring Cleaning! As a busy Mom of two, spring cleaning isn’t high on my list of things that I want to do with my kids. But, I’ve realized that getting my kids involved in the cleaning process (even if it takes longer *shudder*) is absolutely worth it. 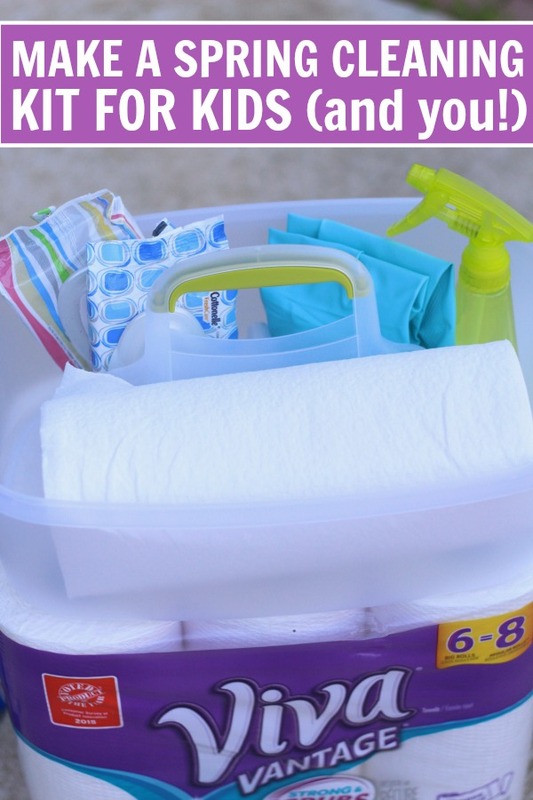 We are thrilled to join up with Kimberly-Clark and the Motherhood (you can find out all their amazing tips about spring cleaning this year too) who sponsored this conversation about our top 6 FUN ways for kids to help with Spring Cleaning right along with you! 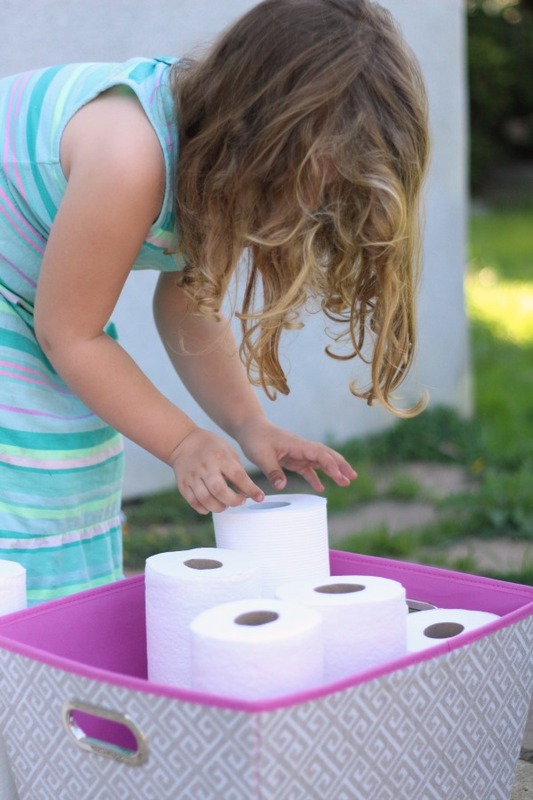 My kindergartener is all about making lists and checking things off, so this is an easy way to get her involved in cleaning (and overseeing the process too!). If you can use pictures, it is all the better for little ones to follow along too. Note: See our scavenger hunt at the end for our free printable checklist! I find that most kids LOVE to fill baskets with supplies. They loved every minute of it. If you have little ones, they may dump it all out and fill it up again, but that will give you a few extra minutes to clean while they entertain themselves! When we have to do a big cleaning job like spring cleaning, my kids earn stickers for each task that they finish. Windows washed? Sticker! Bathroom swept? Sticker! My daughter likes to keep all of her stickers in a book while my son likes to wear the stickers all over himself! Tip: Have a certain number of stickers earn a reward. For example, 20 stickers = ordering a pizza or 50 stickers = a trip to the toy store. Of course, the rewards will change based on what your child loves! 4.) Make a Kit for Each Room. I find that as a busy mom, I can’t spend an entire day cleaning. But, I do save a little time by having cleaning “kits” in each of my bathrooms (I may store one in the living room too!). 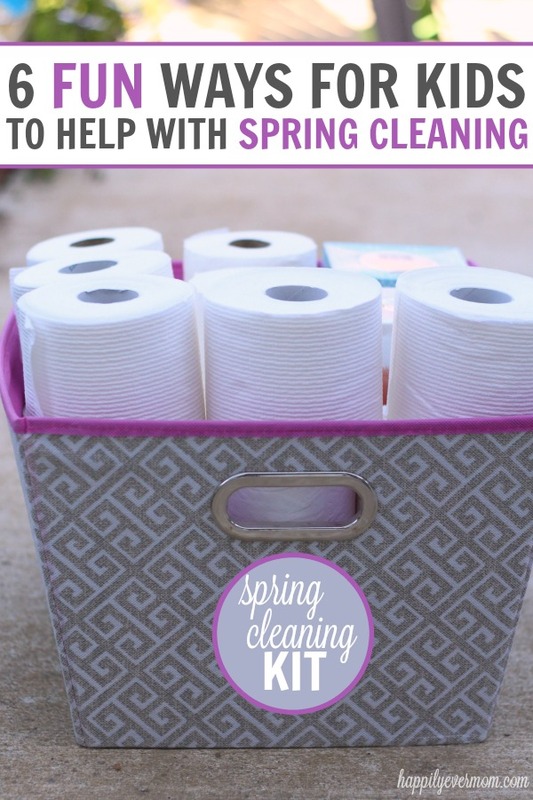 During spring cleaning, my kids stock these kits with more paper towels, cleaner, wipes, gloves, and any other cleaning supplies that we need to use in that room. This way, I don’t have to shuffle to my kitchen to grab cleaner and paper towels every time that my bathroom counters need a wipe down or I have a minute to clean my bathroom mirrors. Instead, the supplies are ready for me in my kit! 5.) Popsicle Stick Spring Cleaning. For older kids, writing down the spring cleaning chores on popsicle sticks might be the best solution. When a child needs a new task, they can draw from a jar of popsicle stick chores to see what they need to do next. Again, a reward for finishing all of the chore sticks might be the perfect motivation for kids! 6.) 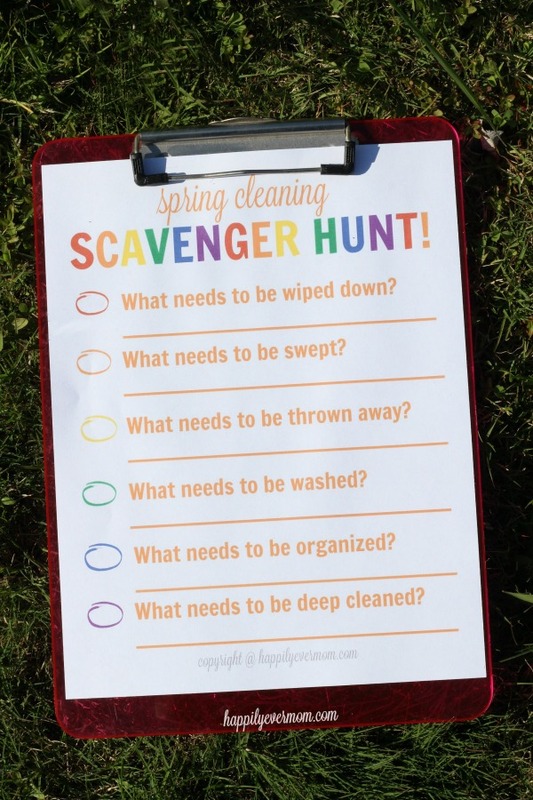 Spring Cleaning Scavenger Hunt. Before you start spring cleaning, have your kids go around to find areas that need to be cleaned. I love this idea because it teaches kids to look for areas that need to be cleaned that they otherwise might overlook. It teaches them to see areas that need to be cleaned on their own instead of being told which chores they need to do. With this fun (free!) printable, older kids can write and check off their own list as they walk around the house! What Products Do You Need to Have on Hand? We love stocking up on products before spring cleaning. In fact, we made a special trip to Walmart to make our Spring Cleaning kits. 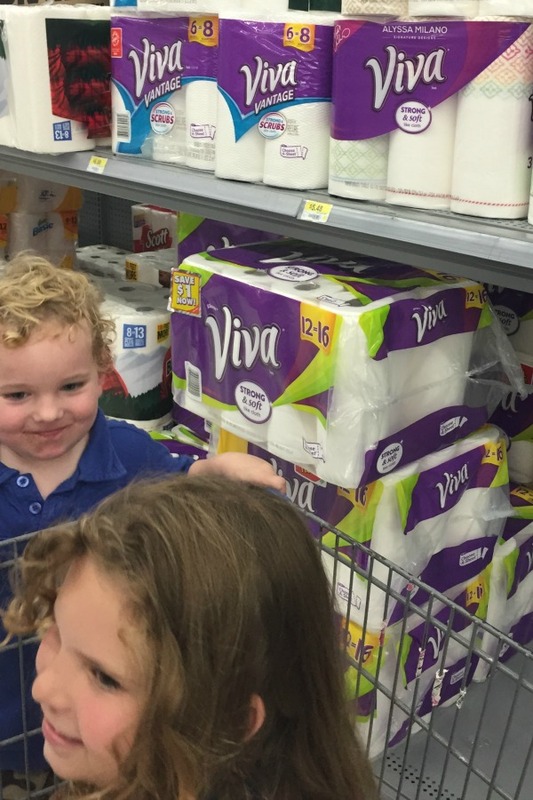 I was able to get everything with two kids in tow with one stop at Walmart! 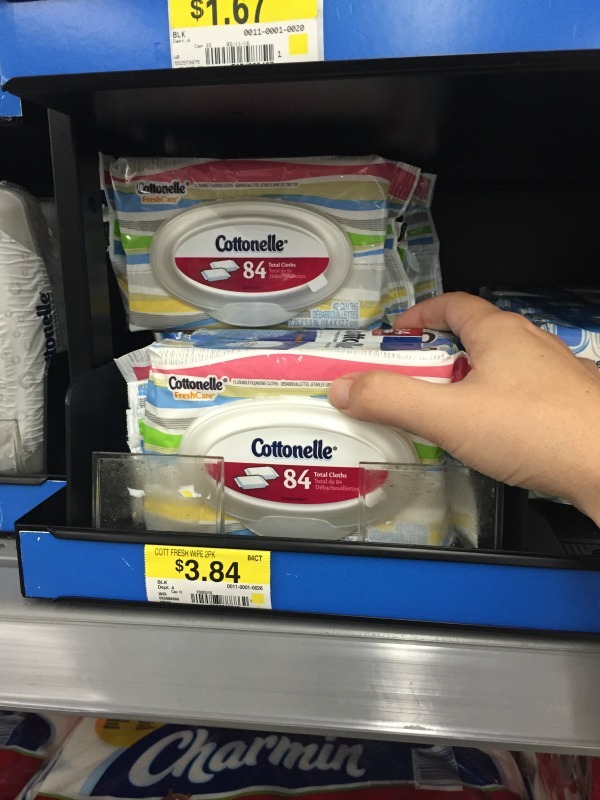 Cottonelle® Clean Care (for my kids who are still working on wiping their bums!). And now that we have all of the supplies ready to go, we’re ready to play one of our 6 FUN ways to get kids excited about spring cleaning! Thank you to Kimberly-Clark and Walmart for sponsoring this conversation.